After a long hiatus of more than 800 days since version 0.8.1 and celebrating project’s 5th anniversary, we’re proud to announce the latest Octopi release: 0.9.0. We’d like to thank all of you who tested, compiled, packaged, translated, submitted bug reports, pull requests and suggestions. Octopi would be nowhere whithout your help. You know who you are. Thank you very much! If you haven’t tested Octopi yet, please give it a chance. If you like it, consider helping the project. Enjoy! We are very proud to bring you the newest version of your preferred pacman frontend: 0.8.1! 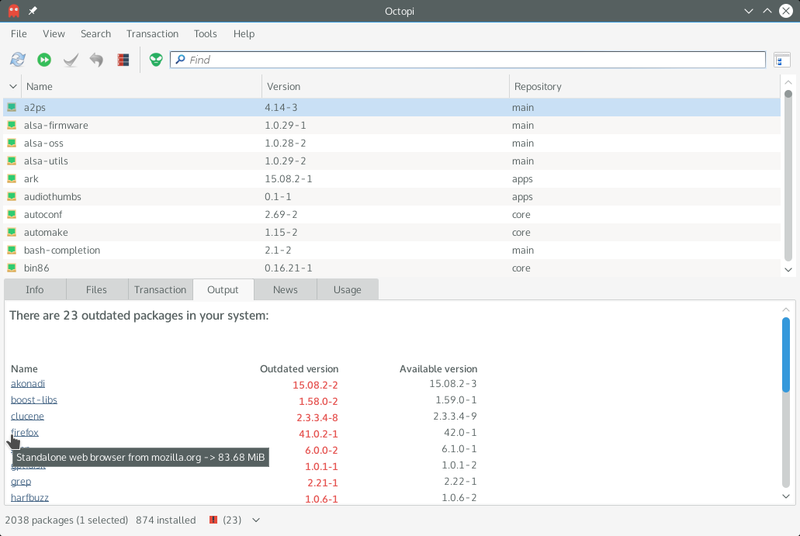 A brand new ouput dialog for notifier, so users can do a system upgrade without a terminal. 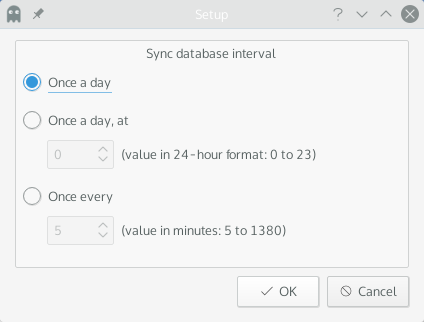 Output dialog in notifier. 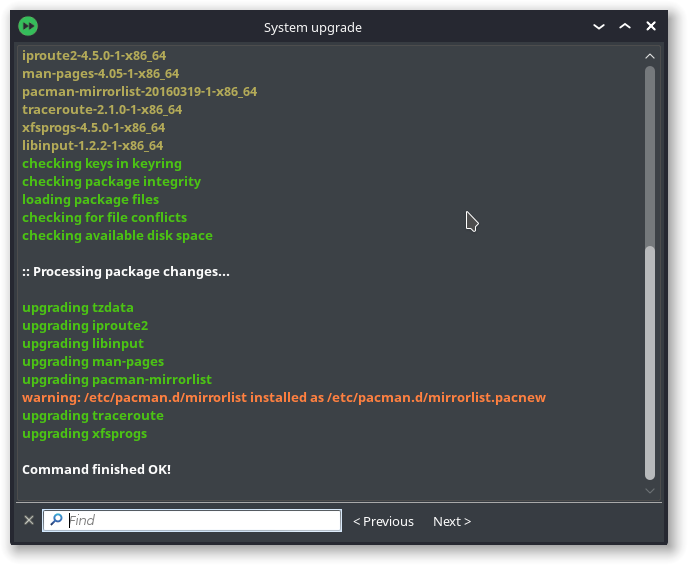 View all system upgrade actions in real time. 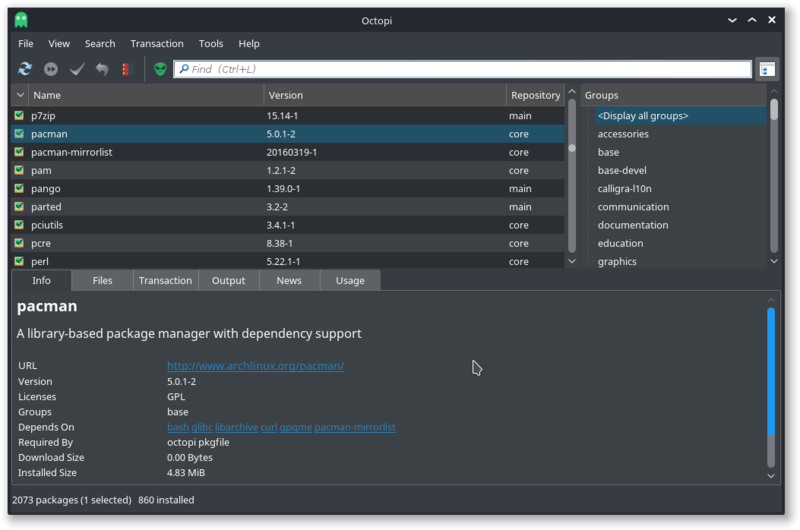 Octopi running in KaOS with a dark plasma 5 theme. 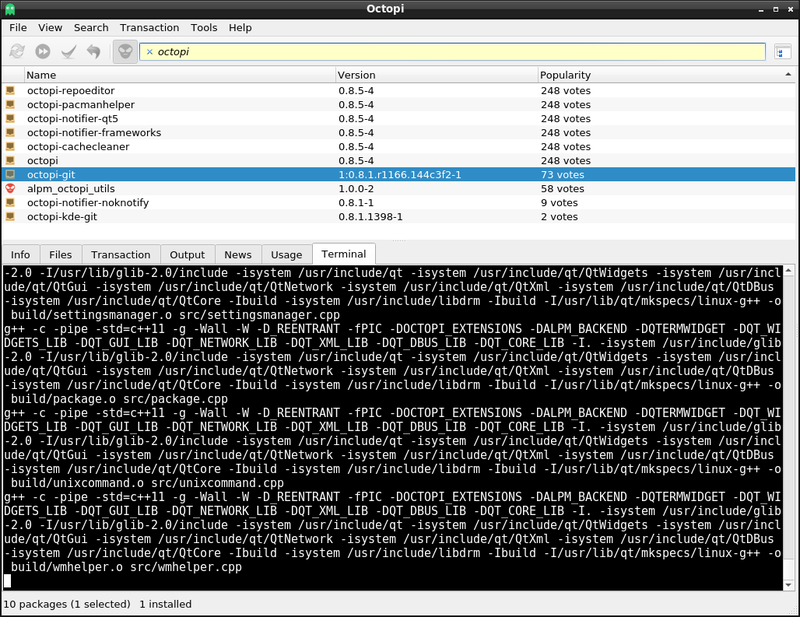 After more than six months after latest Octopi release and to celebrate the 1000th commit, it’s time for a new one. The reason for such a delay was a book I was finishing/revising. 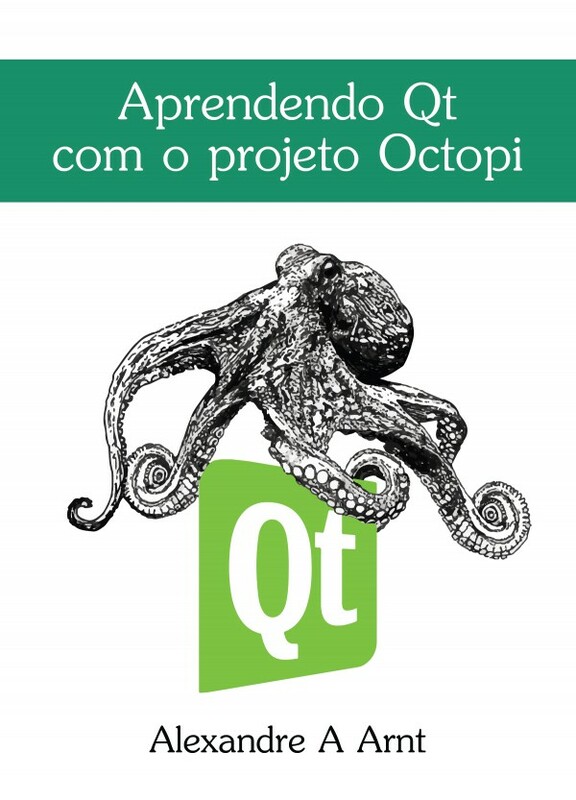 A book about Qt5 development (and, curiously, about Octopi itself). Currently it’s only available in portuguese. You can help this project buying it as an eBook at Amazon. Speed optimizations in startup code (AUR outdated list). 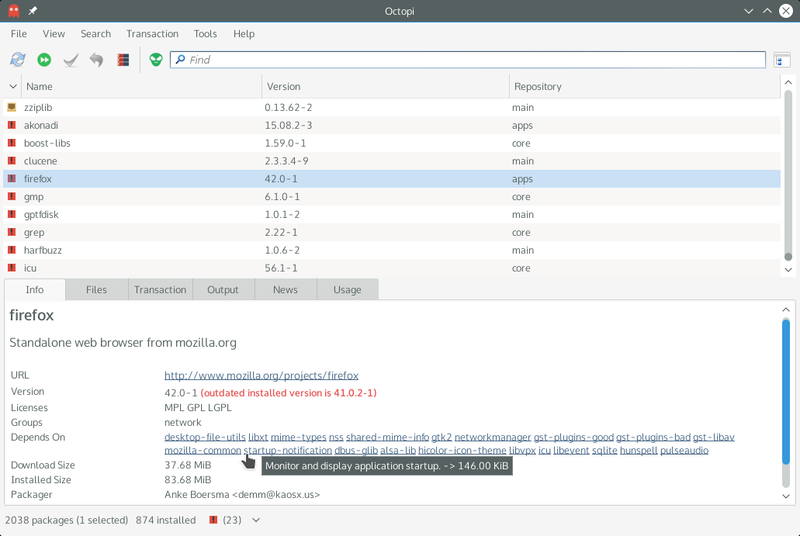 In Octopi 0.8 you can see the description of packages shown at the “Depends On” section of Info tab. 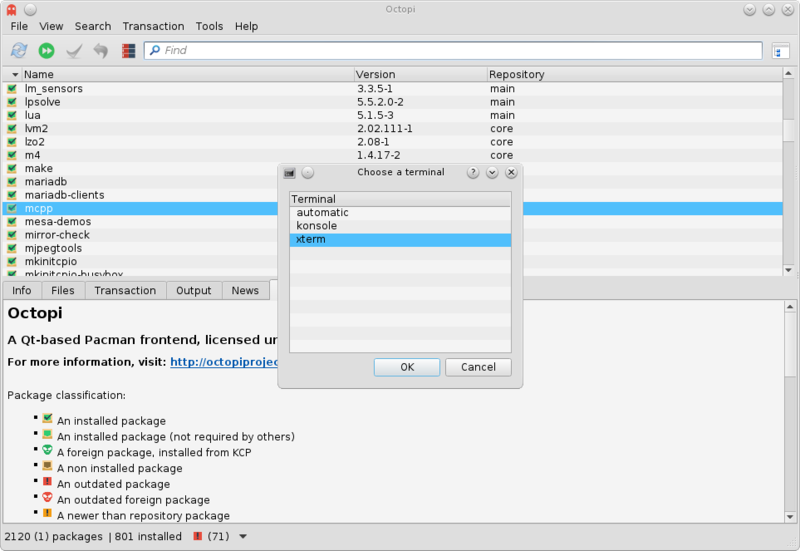 In Octopi 0.8, you can see the package description while in outdated pkg list. Maturing and getting even better: Octopi 0.5! Download size now in MiB.